I got bored, so I wrote up a handful of descriptions of the different players (or non-players) involved in the politics of firearm ownership in America. Believes in the 2A, but often buys into bogus "reasonable gun control" arguments. Different from a Dishonest-PRO-2A in that they have nothing to gain politically, they just seem to take their rights for granted. Many PRO-2A-Moderates believe the Second Amendment is a collective right, and don't have a problem with government regulation as long as guns aren't entirely outlawed. Most PRO-2A-Moderates do not own firearms, and if they do, it is an old .22 their dad gave them. A PRO-2A-Moderate will often join the PRO-2A ranks given enough time at the gun range among PRO-2Aers. Beware of people claiming to be PRO-2A-Moderates, because these are usually Dishonest-PRO-2Aers, or Dishonest-Anti-2Aers. Often "good ol' red-blooded Americans", but there are real-life instances of hippies, yuppies, and commies in this category. PRO-2Aers are educated on the constitution and the law, and believe the Second Amendment is an individual right. Most NRA members fall into this category, although not everyone in this category belongs to the NRA. PRO-2Aers tend to think the laws are generally too restrictive, but are willing to jump through hoops to avoid breaking the law. PRO-2Aers understand that civilians don't need nukes, but they believe in the right to own and carry firearms, to hunt, to defend themselves and their family, and to not be harassed by the government. Most PRO-2Aers own firearms. These will be the safest and most helpful at the gun range. Thinks "the 2A still applies to violent felons" or "the 2A applies to nukes" etc. This group consists mostly of conspiracy theorists, paranoids and wackjobs. An individual in this category has no problem converting semi-auto weapons to automatic fire, because "it is my right! The Second Amendment says so!" Many people who fall into this category are criminals. This category hurts Second Amendment rights more than anything. However, these may be the most fun to take to the gun range. Not educated on the issue, and therefore they take no stance on it. Upon gaining firearms education, the 2A-Indifferent individual will likely become a PRO-2A or PRO-2A-moderate. Many 2A-Indifferent individuals say they don't like guns, but they are OK with other people having guns. These are the most important people to take with you to the gun range. Includes many politicians who want to pander to both sides, so they stay away from divisive issues entirely. The 2A-Timid individual may own guns, but you'll never hear them say it. They won't go with you to the gun range, unless it is private and you sign an NDA first, agreeing to not tell anyone they were there. Even if they do have a good time at the gun range, they’ll likely stay away from the politics of the Second Amendment. Includes any politician says they believe in the Second Amendment, yet still votes for stricter gun control. This includes most "conservative" politicians. This group also includes anyone who holds a firearm on TV so they appear to like them, when in reality they've just been quickly briefed on how to safely hold an unloaded gun. These are just as bad as the Dishonest-Anti-2A crowd because they use misdirection, half-truths, scare-tactics and outright lies to win votes. The Dishonest-PRO-2A individual will go to a gun range if there is a TV camera there, but they usually won't shoot a gun. Requires support of Anti-2Aers for one reason or another, usually political. Most "liberal" politicians fall into this category. Dishonest-Anti-2Aers are almost indistinguishable from Dishonest-PRO-2Aers, the main difference being the face the put on in public. They love to use scare tactics and the media to keep the uninformed masses on their side. Most of them secretly feel gun ownership is ok for a certain social class, but not for the masses. They tend to be racist. Many Dishonest-Anti-2A types actually own guns for self defense, but they won't tell you. In fact, they probable even go quail or duck hunting on their family's private ranch. The reason politicians generally are not in the Pro-2A or Anti-2A categories is because they are too scared or too smart respectively. Anyone who allows themselves to be misled by the media, politicians and liberal special interest groups. Anti-2Aers really think gun control takes the guns out of the hands of criminals. They swallow scare tactics and overblown media coverage hook, line and sinker. An Anti-2Aer is generally not educated on gun-issues other than what the media feeds them. Sadly, they honestly believe restrictive gun laws help stop crime. An Anti-2Aer will be terrified of the gun range, mostly because they think guns will jump out of their cases and start killing people on their own. If you can convince an Anti-2Aer to go to the gun range with you, they will be relieved when you spend an hour on safety training with them before you even load your first round. 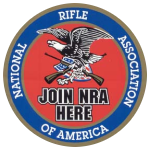 Many Anti-2Aers have been converted to pro-2A or at least pro-2A-moderates by spending time doing firearms safety training, and plinking at the gun range. I guess you can also add the “Criminal” group into the mix here, but they don’t care about the politics, because they don’t care about the law. I'd love to hear some more thoughts on these... mabe some additions, or even "where do these people/politicians fit in". < "Thoughts on Florida, Tampa"